I only lived here for a year, but it was fantastic. Quiet place, maintenance was there in a flash if you needed them (like when your heat conks out on a cold night or your refrigerator takes a dive) I adored the staff and the location. I recommend this complex to everyone. - Christina F.
Thank you, Tina! I have really loved living here - 6 years! I must say I have never experienced such excellent customer service anywhere! You & your staff are wonderful! I have been here for 2 years and I like it. You can't beat the price considering they have amenities-pool, playgrounds, workout room. I've only had a couple small problems (bath tub drain clogged, etc) and my key wouldn't work in my door. This was on a Saturday during a Husker game and I called the emergency line and they came right away and got me in! The staff is friendly when I see them and snow is removed fast. There is plenty of parking and friendly neighbors I am right by the stairs and that can be a little noisy. I had a noisy neighbor and I called and complained and it has been quiet since! I have lived at Rock creek for 2 yrs now and if they had a bigger apt. We would stay here another year. Everyone that works in the office is so nice and is on top of anything you need. If u have a problem they get maintenance on it right away and then they call you when they are done to make sure that it is ok and if there is anything else you need to be done. After dealing with the people up the street I take these reviews more seriously. I really liked rock creek I have no complaints. You want a nice place where u will be taken care of come here! Lots of parking. Right by the lake. One mile from the interstate. A staff that sets up events for tenants (holiday partys, mixers, exercise classes and garage sales). The complex is always clean and well lit. For the price this is probably the best deal in Omaha when it comes to apartment living. My husband and I have been so impressed with Rock Creek! We've lived in several apt complexes and haven't had good things to say about many of them. The staff here is so prompt and helpful. Anytime we had minor issues they were out right away to look at/fix it. They keep them clean. The office staff is really friendly and always remember who we are, which is impressive at a place with so many units! Its not the biggest or nicest apartment we've had, but we feel that it is very fairly priced and we've enjoyed getting to live here! Definitely recommend! Over the four years we have been at these apartments we have had great dealings with the staff. We didn't have issues with many furnished items in the apartment washer/dryer/stove/dishwasher/heating/cooling) but when we did they were on top of it and the maintenance employees took care of everything right away. Rachel and Tina have been our "go to" employees in the office and they have been great, always a pleasure to talk to and they remember you which I feel says a lot about an apartment complex.  All apartments have some noise from the neighbors and Rock Creek is no different, especially during a Husker game. However, if the noise had ever reached an excessive point, we could call the office and they would send a nice discreet letter to the particular renter(s) to ask them to keep it down and most of the time things did quite down. The prices are reasonable and the area is well kept. I would recommend this complex to my friends.